Drake sends birthday love out to 14 year old actress. Drake's list of high-profile friends sees no end. The perks that come with fame are easily met with tons of inconspicuous moments but when you can pick and choose your friends across a varied field, you most certainly win at life. Happy merrymaking to the unlikely duo, may they bless each other a thousand times. "Happy Birthday Mills!!!! 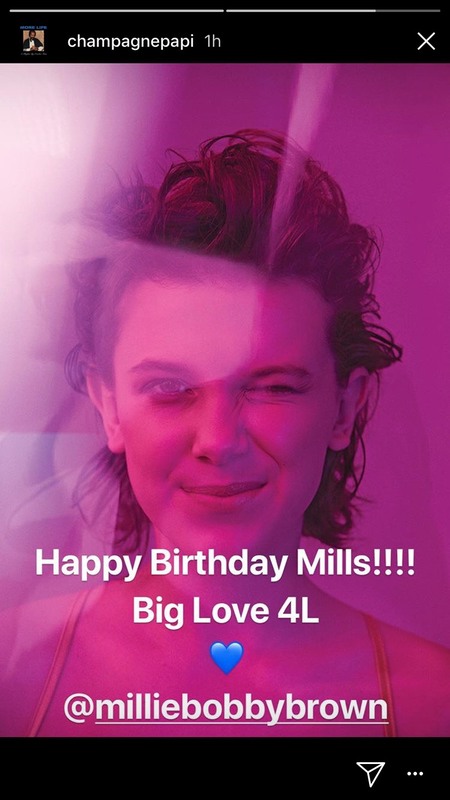 Big Love 4L ❤️ @milliebobbybrown"